Dr. Wisecaver is committed to increasing STEM participation across all measures of diversity, fostering an encouraging and collaborative lab environment, and acting as a mentor and facilitator to enable the career success of all lab members. Talented and motivated postdoctoral candidates with relevant experience in evolutionary biology, molecular biology, computational biology, genomics, bioinformatics and related fields interested in joining the lab should contact Jen via email. Please include a statement of research interests and a CV including the contact details of at least two evaluators. A track record of quality publications, excellent communication skills, and enthusiasm for basic research is expected. 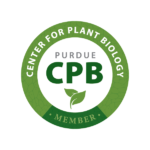 Students interested in conducting graduate work in the lab are encouraged to apply either to the Biochemistry Graduate Program or the Purdue University Interdisciplinary Life Science Program (PULSe) in either the Integrative Plant Sciences or Computational and Systems Biology PULSe training groups. Candidates should also email Jen with a detailed statement about why they want to join the lab and their research interests, a CV, and the contact details of three evaluators. Funding is available in the form of research and teaching assistantships. However, all graduate students will be strongly encouraged to gain critical academic experience by applying for their own additional sources of funding including travel awards to attend academic meetings. Undergraduates excited about research in the areas of evolutionary biology, genomics, or bioinformatics are encouraged to apply for a position in the lab. A commitment of 10 hours per week during Fall or Spring terms (for course credit) and full-time during summers (for pay), is encouraged. Undergraduates are also strongly encouraged to apply for research fellowship programs when applicable (see list of funding opportunities below). If you are an undergraduate interested in joining the lab please email Jen with a brief statement about why you want to join the lab (for example: what research methods or questions interest you and what are your plans after graduation?) Also include a resume or CV and a printout of your unofficial transcript in the email. Funding sources will be updated sporadically. I lifted a lot of text/ideas for this section from the lab websites of Antonis Rokas and Katrina Dlugosch, both of which are excellent.